This album is completely and unashamedly Bluegrass. It is a collaborative effort with Banjo player Martin Louis, and heavily features Martin’s Bluegrass Band – also Sydneys most well known Bluegrass band “Acoustic Shock”. Anyone who loves traditional Bluegrass played the traditional way with gorgeous 3 part harmony will love this album. Whilst our Bluegrass fans love it, it’s the reaction from my Country Music fan base which has both shocked and pleasantly surprised us, as it has been absolutely wonderful! It seems that there are many Country Music fans out there who are indeed searching for something a little less ‘pop’ sounding than has been the general offering of late. Toted at the time as one of Australia’s Best Bluegrass recordings, it features Acoustic Shock – who are Martin Louis (Banjo & Vocals), Jim Rush (Guitar & Vocals), Nigel Lever (Mandolin & Vocals), Quentin Fraser (Double bass & Dobro) and a number of other great Australian players who showcase on certain songs. They include Kym Warner (Mandolin), Ian Simpson (Banjo), Andrew Clermont (Fiddle & Gourd Mandolin), Mick Albeck (Fiddle) and Liz Frencham (Double Bass & harmony vocals) and with such a team, …. how could we go wrong? Along with great instrumentation, the album features the most stunning vocal harmonies heard in Australian Bluegrass in a long time. The album features a real variety of musicians, styles, tempos and lead and harmony arrangements and has been likened to a beautifully arranged concert set. Songs include everything from the traditionally vibrant classics such as “You’re no longer a Sweetheart of mine” (Reno Bros.) and “Dream of Me” (Jim & Jesse) to the gentle full bodied harmonies of “Pathway of Teardrops” & “You’re Running Wild”, to some of their favourite duets such as “My heart skips a beat” & “I heard the Bluebird sing”, a few stunning instrumentals and even a couple from “Acoustic Shock” on their own. There are in total 18 great tracks, 3 of which are Australian written songs, one of these being a co-write from myself and friend Heather Field. If you love Bluegrass, and find well recorded Australian Bluegrass hard to find,… then this is what you have waited for. Check out the song samples and email me what you think!, I guarantee it will live up to all your expectations,.. (and more!). Mixed and Produced by James Gillard, Rob Specogna, Martin Louis and Karen Lynne. Engineered by Rob Specogna, assisted by Adrian Sotomayor, Kendall Massey, Lee Buddle. Recorded at Main Street Studios, Morning Light Studios and Sound Mine Studios. Mastered by Barry Hinninger. Musicians: Martin Louis, Nigel Lever, Jim Rush, Quentin Fraser, Elisabeth Frencham, Andrew Clermont, Kym Warner, Mick Albeck, Ian Simpson. 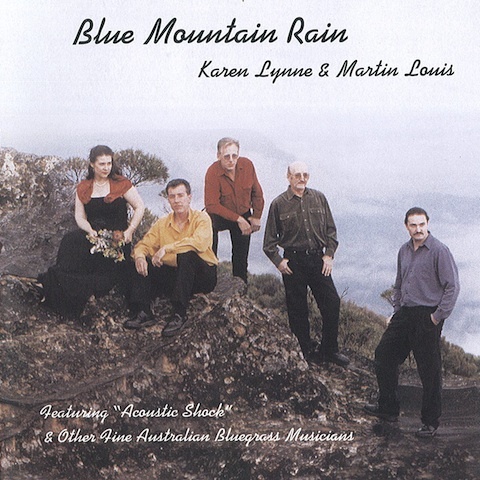 Karen Lynne and Martin Louis and Acoustic Shock have done a wonderful job with their new album “Blue Mountain Rain”. 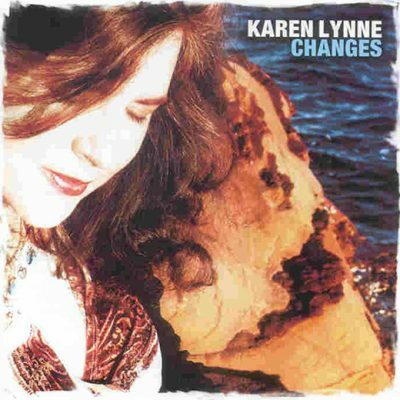 (They’re a mite confused as to who they are – ‘Karen Lynne & Acoustic Shock’ or ‘Karen Lynne & Martin Louis’ or ‘Acoustic Shock with Karen Lynne’ but who cares the sounds are great!). The material is varied and well chosen, the arrangements have obviously had a LOT of work put into them, as is their style, and they have all done a fantastic job of playing it all. They mix it up nicely. Fast ones, slow ones, couple of instrumentals, and they have avoided the trap of keeping the limelight all on Karen’s voice (which sounds like a choir of angels) and let Marty and Jim come to the lead in a couple of songs. When you listen to the whole album in one go, it sounds like a really good concert set. There are good Australian songs on the album – “This Flower” by Kasey Chambers and “Homefires” by Darren Coggan. 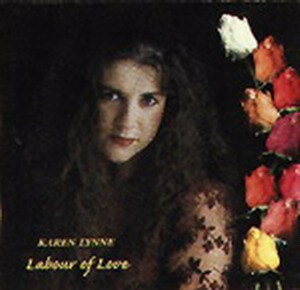 Karen and Heather Field collaborated successfully on Karen’s earlier album “Labour of Love” and on this album they include “This Ring”. 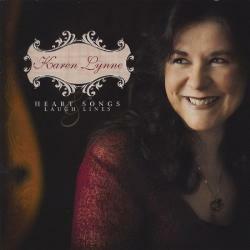 These are straight up bluegrass songs, and Karen’s plentiful country fans won’t be disappointed either – “This Flower”, “Pathway of Teardrops” and “Send me the Pillow” will appeal instantly to them. They’re not afraid to be ambitious either. To attempt “The Touch of God’s Hand” after Longview did such a great version is a big call. But Jim Rush does a great job of the lead and Martin & Karen nail the harmonies perfectly. 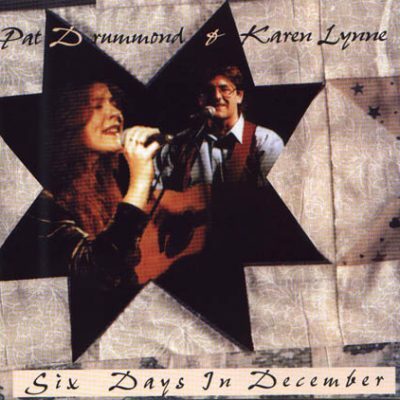 The players on this album speak for themselves … Apart from Karen Lynne and Acoustic Shock (Martin Louis, Jim Rush, Nigel Lever & Quentin Fraser), there’s Karen’s sister Elisabeth Frencham (bass and vocals), Andrew Clermont (fiddle, gourd mandolin), Mick Albeck (fiddle), Ian Simpson (banjo) and Kym Warner (Mandolin). With a team like that, it’s hard to imagine how you’d get anything but great sounds. They even managed to get Marty to put his banjo down for a few tracks and play his 5 string dobro, which gives a wonderful mellow sound. Yet this mellow dobro sound is giving up banjo rolls and licks. There’s a really pretty version of Wildwood Flower (yes, just what the world needs – yet another “Wildwood Flower”), but this is a really special version. Don’t miss it,… also Marty and Ian Simpson really light it up with a twin banjo instrumental “Big Ben”. It’s an extremely well produced album. Many times I have heard really good groups put out albums that don’t reflect their abilities, because either they’re not critical enough when listening to their recorded effort or because they don’t have the time and money to do something again when it needs it. You can hear in this album, that they have put in the time and energy to make this music right. Karen, Martin, Jim, Nigel, Quentin should rightly be very proud of this album. It’s a quantum leap in bluegrass recordings in Australia and sets a new standard. It stacks up favourably against anything coming from the big US bluegrass shops like Rounder, Sugar Hill, Doobie Shea, Pinecastle, Hay Holler, Copper Creek and the others. Berk Bryant, a.k.a. The Country Gentleman, and host of local public radio’s “Sunday Bluegrass” brought this recording to my attention and I am glad he did. It is a dandy one designed to raise the profile of Australian Bluegrass. Interestingly, Lynne is the first Australian female artist to present a entirely Bluegrass album. Already it has received two Top Ten nominations in the National Australian Country Music “Golden Guitar” Awards: one for the exciting banjo duet, “Big Ben,” and the other one for Lynne as female vocalist. 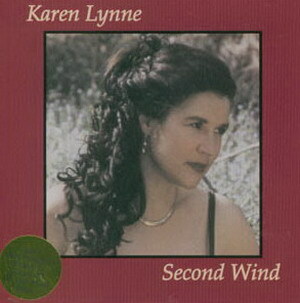 In addition, this CD has garnered four nominations for the Victorian Country Music Award: best group, best instrumental, female vocalist, and “Best Independent Release”. (It won the latter.) If that is not enough to sell you, consider this, Lynne‚s original composition, “This Ring” not only made it to No. 5 on the Australian National Country Music chart but also was selected for use in a movie. Blue Mountain Rain was conceived by Lynne following an on stage collaboration with Sydney bluegrass band, Acoustic Shock. Eighteen tracks showcase a variety of tempos, outstanding arrangements,and fine musicianship . Some of my favorites include five exceptional covers: Don Reno’s”You’re No Longer a Sweetheart Of Mine,” Jim & Jesse’s “Pardon Me,” Webb Pierce’s “Pathway of Teardrops,” Buck Owen’s “My Heart Skips a Beat,” and Hank Locklin’s “Send Me The Pillow You Dream On.” Lynne’s vocals are strong and sensitive. Musical support is solid throughout the release but the musicians really shine on several instrumentals: “Big Ben,” and the national anthem of country music, A. P. Carters’s “Wildwood Flower.” While I don’t agree with every press kit I read, I must concur with the following statement, “The material is expansive and makes for a thoroughly enjoyable listening experience as it wanders from the foot tapping songs and instrumentals, through to the deep, full-harmony slower songs. This combination is a truly complimentary and pleasing one. 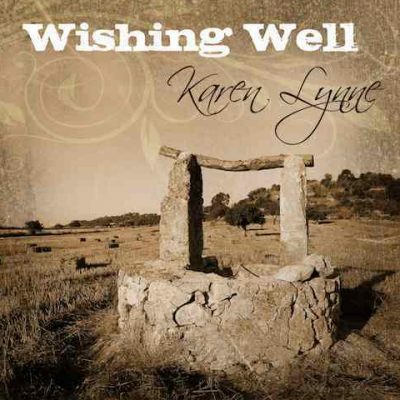 Anyone who loves traditional Bluegrass played the traditional way with gorgeous 3 part harmony will love this album.” Although Lynne is playing in Australia, her Bluegrass is authentic, and I hope to hear her playing in the United States someday. With a label name like “Shoestring,” you gotta love it and you gotta know it’s bluegrass. Song selection is currently underway for another Bluegrass album in 2004, so stay tuned.